bracelet and other magnetic jewelry are a premium line with a super strong magnetic field that is designed to provide maximum magnetic bracelet benefits & magnetic therapy value while looking stylish enough to blend in with all outfits. Let us not forget the magnetic therapy value of these Your magnetic bracelet in terms of pain relief, blood flow and strain relief. No matter your goal as a conversation piece , a sleek fashion statement or perhaps the therapeutic value we have all of the newest styles of magnetic bracelet. 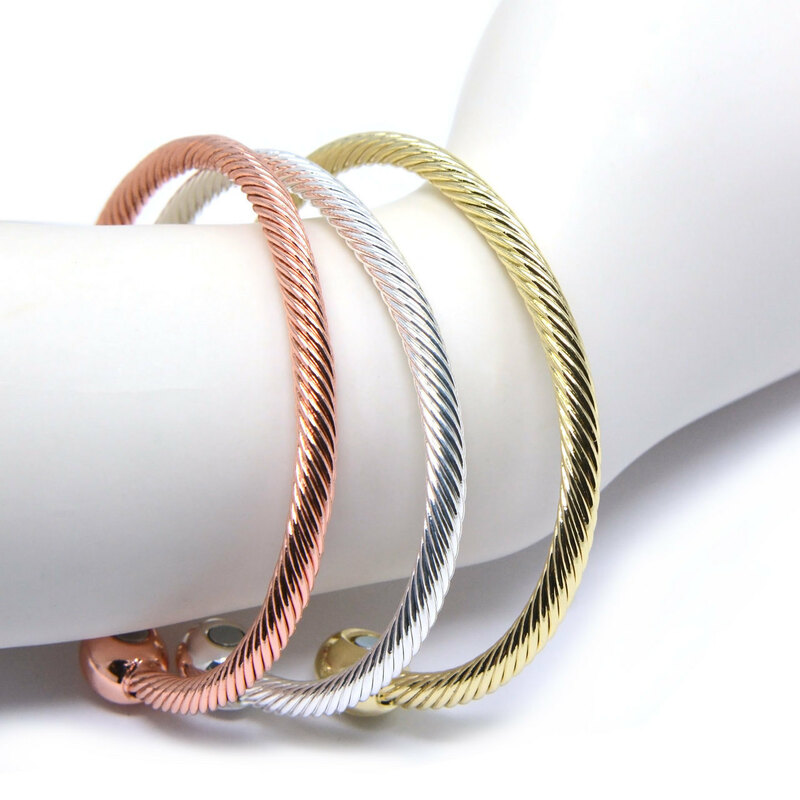 Novoa Magnetic Therapy Bracelets are exquisite, snappy, and best of all, they have worked for many! ​Are you encountering these manifestations related with any of the following? If you are magnetic therapy may be your answer. Pains and aggravation in the shoulders, arms, wrist or hands. Magnet Therapy Can Work Wonders For You. Also magnetic therapy has been used to treat pressure and nervousness, enhance rest, and improve general equalization and state of mind. Again more magnetic bracelet benefits. Let's be honest, no one loves being in agony. Magnetic bracelet benefits, relief from discomfort does not need to come as Ibuprofen or other mitigating drugs. Many clients appreciate characteristic help with discomfort and have bid a fond farewell to NSAIDs for torment and aggravation! have a pacemaker, defibrillator, insulin siphon, or some other embedded electro-restorative gadget; are pregnant; have gotten a confined cortisone infusion in the previous 2 weeks over in the same physical area. Likewise with all Magnetic therapy items, in spite of client input, these cases are not clinically demonstrated. The outcomes revealed may not happen in all people. These items are not expected to analyze, treat, alleviate, fix or keep any sickness. Depiction for instructive purposes just and isn't intended to substitute for the exhortation given by your very own doctor or other medicinal expert. Designed And Handcrafted For Comfort And Elegance & Don’t Forget The Magnetic Bracelet Benefits Of Therapy. Feel certain, get compliments rather than inquiries regarding your agony. Planned with the goal that nobody would even presume they are remedial! Looks astounding on men and ladies! It's no big surprise why such a large number of individuals wear our Magnetic Therapy Bracelets as design pieces, paying little mind to remedial characteristics. Diverse shading choices to coordinate any clothing, style, and temperament.